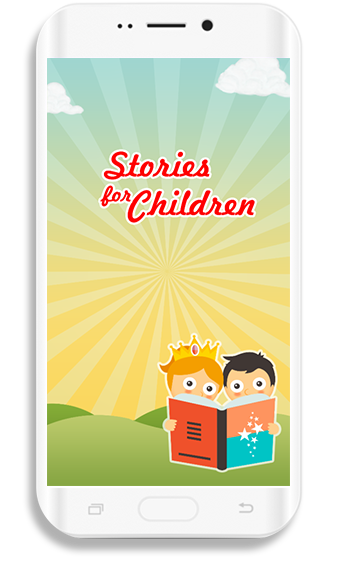 “Stories For Children” is the interactive app for telling the stories. It is bundled with exquisitely illustrated story books for kids. Stories are illustrated with colorful images, sound effects, and narrations. Reading becomes fun with the “Time for Stories.” The text is being highlighted when it is read along. This helps the children to learn how to pronounce and read the words. It also brings the classic story characters to real life. It provides an opportunity for children to meet the characters of their choice in a totally new way. It offers a mesmerizing practice which becomes unforgettable for children. It is designed with enjoyable and playful graphics. 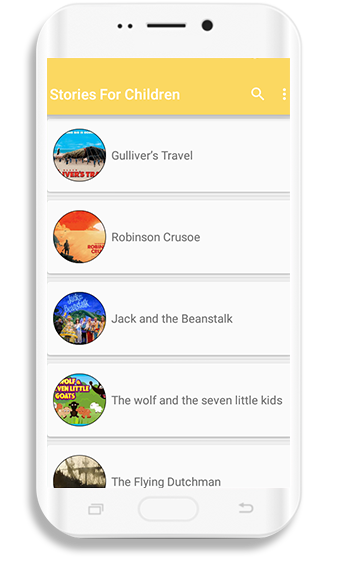 This Android app can be downloaded from Google Play Store, and it has various adventurous and fairytale stories for you kids. 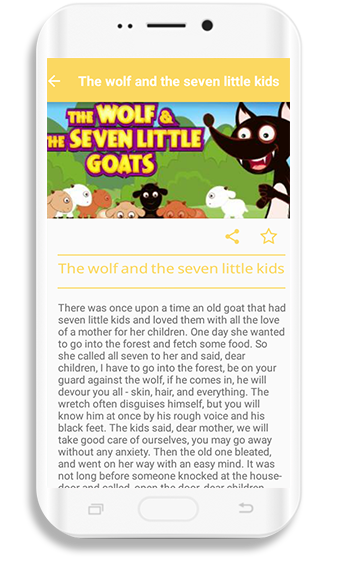 This app contains numerous great stories of myths and mystery with the pictorial description which helps your child understand the story in a better way. One of its many features contains scary and historical stories with an illustration of images which enables the children to read them with interest.